With quick access to Metro and the Beltway, Maryland officials are hoping Greenbelt will soon house new Federal Bureau of Investigations headquarters. Greenbelt seems to fit all FBI's "must haves" for the new building -- it has about 80 acres to develop right off the Beltway. It's the state's only option for the new FBI headquarters. "We need to have access to transit, we need to have access to the Beltway," GSA Project Executive Bill Dowd told News4. "Now we want to identify the sites that are real." The Commonwealth also has several options under consideration, but space is reportedly an issue. 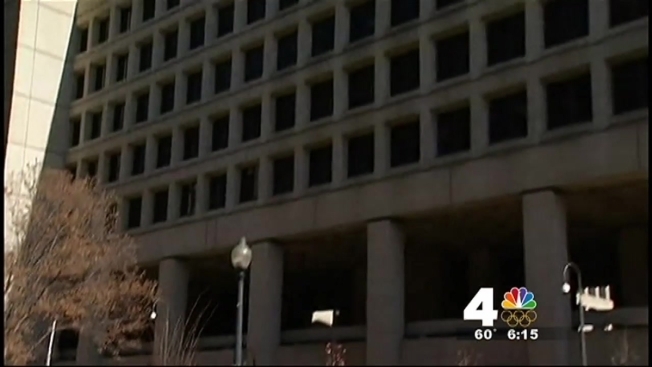 The FBI has said it needs about 50 acres for the development of the new headquarters. "It is still out opinion that Loudoun offers great options for the FBI headquarters relocation," Lois Kirkpatrick with Loudoun County Communications told News4. Prince William County is also pursuing the project, proposing to house it within the Potomac Shores area. Fairfax County pitched Springfield Warehouse for the development, which was endorsed by Gov. Bob McDonnell. While officials with the General Services Administration have not yet said which site is favored, they have learned a lot from the limitations of being housed in downtown D.C.
"The FBI occupies the building on Pennsylvania Avenue and they also occupy 20 other leases around the city," Dowd said. "What we want to do is provide a facility that will consolidate all of the headquarters and make them more efficient."